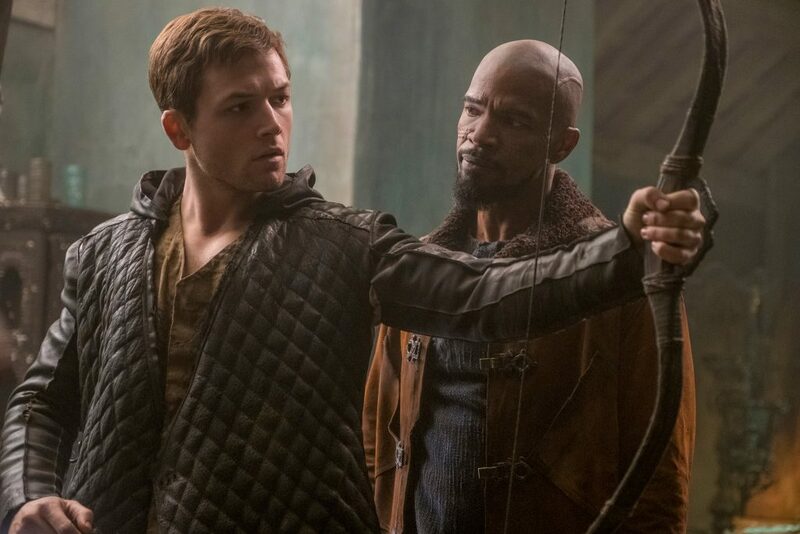 “Robin Hood” doesn’t do anything different from any other adaptations, but if you’re looking for an entertaining (and predictable) film it’ll steal your attention for a few hours. The film’s opening promises something along the lines of: you think you know the Robin Hood story, but you’ve never seen it like this. Upon his return to England, Robin finds the sheriff of Nottingham (Ben Mendelsohn) taking everything from the people, including Robin’s Loxley manor. To get back his home, his girl and free the people from oppression, he begins his life as a thief. No surprise there. Robin’s escapades soon begin to inspire the people of Nottingham and talk of rebellion brews, which was seen in Russell Crowe’s 2010 version. The only real difference between this “Robin Hood” and countless others is that Robin maintains his Lord of Loxley personna by day and masquerades as “the Hood” by night, which just makes him the Bruce Wayne of medieval Nottingham. Despite the plot predictability (which includes a training montage, a heist montage, a romance, and a party invite/infiltration) the film contains just enough of a narrative to remain interesting. The movie also manages to blend modernity into medieval — which is nothing original as it was done 2017’s “King Arthur: Legend of the Sword” and a “A Knight’s Tale,” way back in 2001. This film’s costumes manage to look like modern suits and dresses, but not so much as to look out of place in the period context. It’s the same with some of the action. Robin’s bow and arrow skills are filmed more like a gun fight than people shooting each other with sticks. A scene of fighting during the Crusades has the feel of an modern day Iraq war film, not medieval knights in the Holy Land. “Robin Hood” is all about expectations. If you’re expecting anything new, don’t bother. The film steals from other adaptations to offer the audience a well-known story in a well-known way. If you want to watch Robin Hood steal from the rich and give to the poor, that’s exactly what you’ll get.